Professional rock climber who is the only athlete to have won a IFSC Climbing World Championship and World Cup in two disciplines, lead and bouldering. He started climbing at the age of 6 years old. He won the IFSC Youth World Championship category Youth B in 2007 and 2008. He competed in the Lead Climbing World Cup in 2009 for the first time and won. 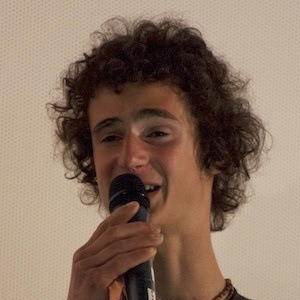 He has 410,000 followers on his adam.ondra Instagram account. His parents are Eva Ondrová and Miroslav Ondra. He has a sister named Kristyna Ondra. He and Isaac Caldiero are both rock climbers.